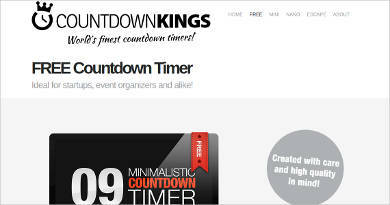 E-mail countdown timers are perfect for announcing big sale discounts and limited time offers for your customers. They can also serve as a countdown to major concerts or festivals you’re having. Double your e-mail marketing conversions with this unique tool that lets your leads have a sense of urgency in responding to your e-mails. An e-mail countdown timer are different from a sleep timer software in the obvious sense that it keeps your customers busy and engaged with your upcoming promo or event, rather than sleep on it by turning off their desktop notifications or Macs. 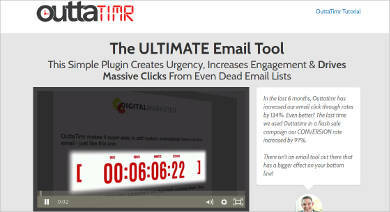 Select from our top rated e-mail countdown timers below that is perfect for any e-mail platform. E-mail tools are useful for impactful response or even striking engagement when used well. One way to pick out the best e-mail countdown timer for your e-mail marketing promotions is to explore top choices in the market. 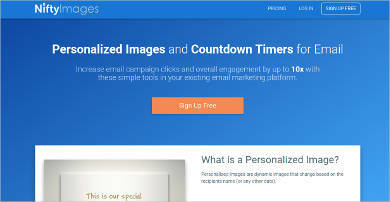 Sendtric uses real-time, animated GIF countdown timers as e-mail templates, and it allows users to customize colors of the background and labels, and you can easily embed it to your e-mail by copying the HTML code. 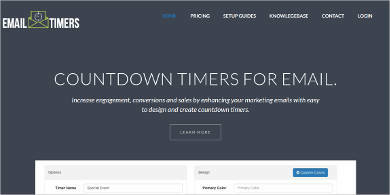 Just like Sendtric, this e-mail countdown service is free, but with limited usage. The upgraded plans have the MotionMail watermark removed and access to multiple languages; it also works well with common Customer Relationship Management (CRM) applications like Salesforce and Aweber. 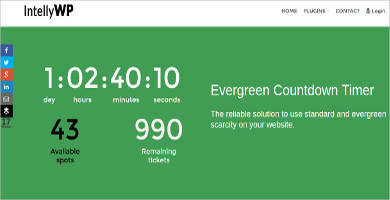 This lean and green countdown timer can be downloaded as a plugin for WordPress sites, which you can set up in 30 seconds or less. This tool drives scarcity of items like tickets, which makes it a powerful sales tool. 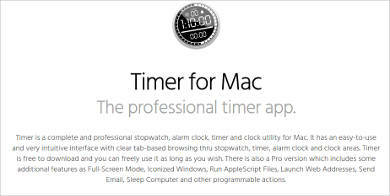 Nothing beats other stop watch software than a professional Mac timer for tracking days left for your e-mail campaigns, scheduling sending of promo e-mails, and even being reminded of days left for your marketing event. Of course, in every tool we use, there are pros and cons we have to consider when it comes to software productivity, compatibility, and customer response. It induces clicks and reads. When your customer sees an e-mail countdown timer, it induces excitement and creates urgency to read the e-mail and go click through the links just like how we work faster to accomplish the task when we check the time. It creates curiosity. Curiosity is fostered about an upcoming event or offer when your customer views your site or e-mail with a countdown timer. It determines purchase length. It lets customers be informed of the time left to avail of the offer especially if they are existing customers to your site. It doesn’t display well on Microsoft Outlook. Some e-mail countdown timers like MotionMail doesn’t work on Outlook, and frankly, the countdown timer loses its dynamic feature since Outlook makes it static. You’ll need to host servers for GIF countdown timers. GIF countdown timers are generated through PHP scripts, so you’ll need to set up a server before the timer gets displayed to your e-mail. 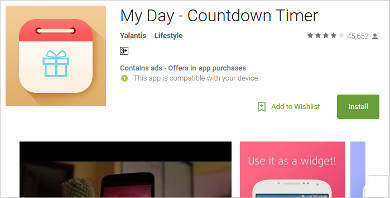 As opposed to a digital clock software that is limited to tracking your calendar of activities or offers, the countdown timer can give your real-time status of your latest offer, and you’ll increase traffic once people are drawn to scarcity of time needed to make the purchase.